Unfortunately, When you install Java on Linux or Windows, this environment variable is not set automatically. You need to do it yourself. Java developers like me always set mandatory environment variables like JAVA_HOME, PATH, and CLASSPATH on the login scripts executed by the shell when you log in to Linux e.g. bash_profile.sh, but you can also set JAVA_HOME into /etc/profile for all users. I'll show you steps how to find the location of Java and how to set up the JAVA_HOME in Linux in this article and these steps should also work with any Linux or Java version e.g. Ubuntu, RedHat, CentOS, SUSE, ArchLinux, Debian, Fedora etc. Though I strongly encourage every Java developer to learn Linux, it's a really important skill and serves you for a long time. If you decide to improve you Linux skill this year, I suggest you take a look at the Learn Linux in 5 Days and Level Up Your Career course on Udemy, which is both short and sweet and also explains all important details. You can see that JDK is installed on "/usr/sun/jdk/v1.6.0_16-64bit". That's it you are done. Though don't forget to open another shell window by typing bash, csh, or ksh. The new environment variable will not be added to an existing shell, you need to open a new shell window. Also, if you use bash shell than adding into ~/.bash_profile make sense, if you use csh (C shell) then add JAVA_HOME into ~/.csh_profile and similarly for ksh (K shell) add JAVA_HOME into ~/.ksh_profile. They are hidden files in your home directory in Linux, that's why they had prefix dot (.) in their name. You can use "ls - alrt" command to see them. By the way, if you don't see Java installed on your machine, then download the Linux version of Java from Oracle's website and install it. Once you are done with installation just find the folder where JDK is installed and follow the steps given above to set JAVA_HOME for your Linux environment. For applications, JAVA_HOME is generally referred on start script. 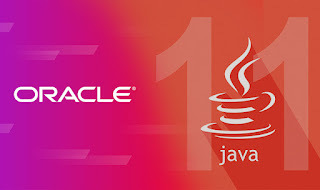 It's bad practice to refer hardcoded path of Java installation in scripts, you will never find Tomcat, Maven, Eclipse, NetBeans or IntelliJ doing that because then when you update to a new Java version they won't be able to use it until you change their start script. Using JAVA_HOME makes it easy to switch to a different or new Java version. See The Complete Java MasterClass course on Udemy to learn more about the core concepts of Java in details. It's updated for Java 11 and also not very expensive, I just bouthbought11 a couple of days ago. 1) It's easy to upgrade JDK without affecting your application startup and config file which points to JAVA_HOME. you just need to download a new version and make sure your JAVA_HOME points to the new version of Java. This is the best benefit of using an environment variable or links. 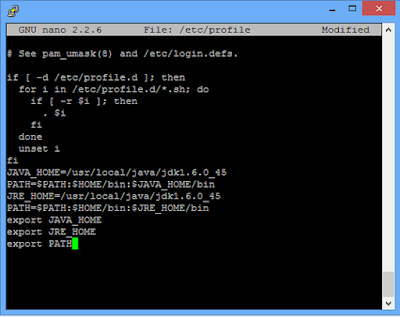 2) The JAVA_HOME variable is short and concise instead of the full path to the JDK installation directory. 3) JAVA_HOME variable helps your program achieve platform independence i.e. if your startup script uses JAVA_HOME then it can run on Windows and UNIX without any modification, you just need to set JAVA_HOME on the respective operating system. 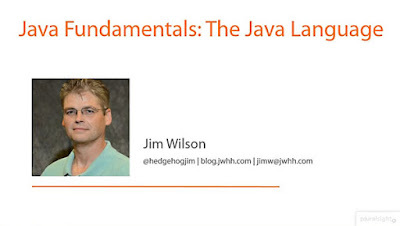 4) The JAVA_HOME is standard, which means other tools which need Java e.g. Maven, Eclipse can refer this variable without having any knowledge of where Java is physically installed on your machine, which is obviously different in different user's machine. JAVA_HOME allows everybody to access Java in a common and standard way. That's all about how to set JAVA_HOME environment variable in Linux. I have also touched base on why you should do it. If you face any problem while setting and using the JAVA_HOME environment variable, feel free to ask. I'll be glad to help you out.